Versatile Pavement 'A' boards, produced to your design. The perfect, attention grabbing sign from just £89.99. 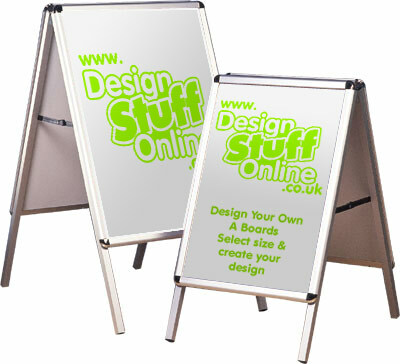 Eye-catching 'Swinging' Pavement signs, designed by you using our innovative web tools.